The Morgan Taylor Gifted with Style Holiday 2015 Collection is here! 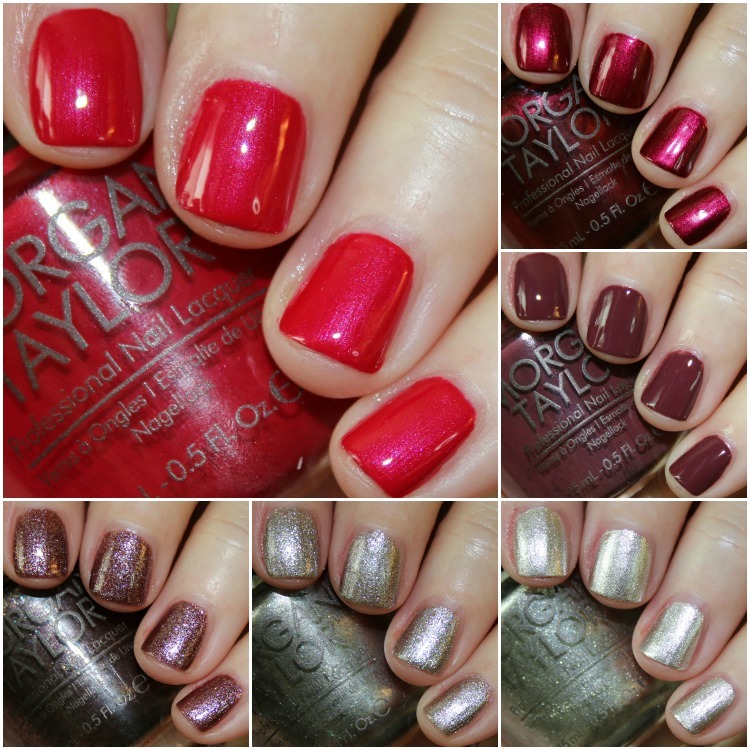 This collection includes six new festive nail shades in various finishes including cremes, shimmers and metallics. Gilded in Platinum is a platinum silver metallic. 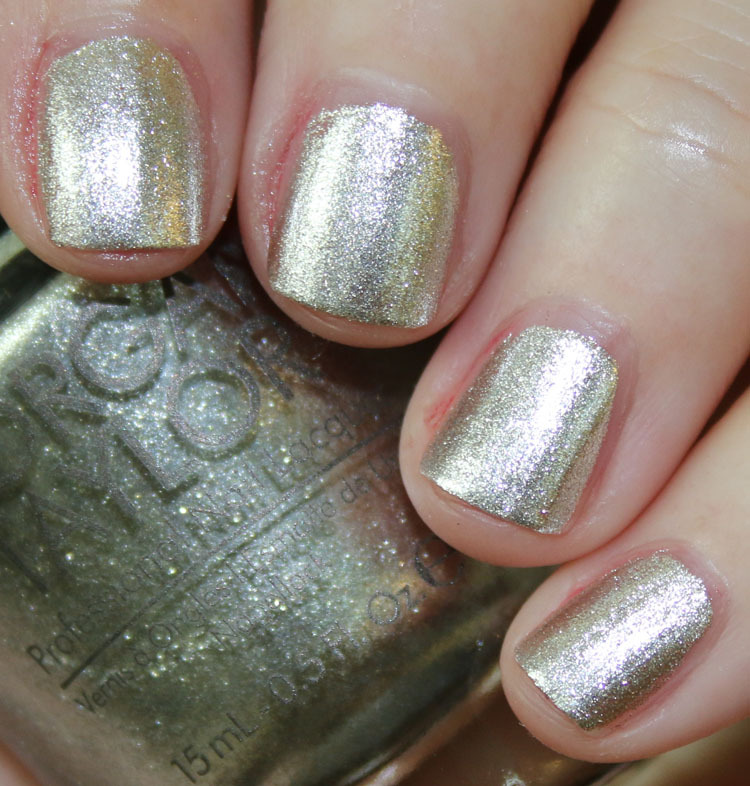 Excellent coverage and formula, you could do just one coat. Tinsel My Fancy is a silvery/grey metallic. This too has a great formula but needs two coats. It leans more towards a charcoal grey/silver unlike Gifted in Platinum, which is straight silver. Ruby Two-Shoes is a scarlet red creme with hidden shimmer. Pretend like you don’t see the shimmer here because in most lighting you can’t see it. This was two coats. A Little Naughty is a medium eggplant creme. This leans towards the brown/purple side and was two coats. I’m So Hot is a burgundy red shimmer. Very festive and pretty and it covered great with two coats. All Wrapped Up is a amethyst shimmer. This has tones of purple and brown and lots of silvery/pink shimmer. Nice shade and great coverage with two coats. I’m not sure if there is too much here that is really unique per-se, but it’s a nice collection either way. I think the best shades were Ruby Two-Shoes and All Wrapped Up. If you don’t already have an excellent silver foil color then Gifted in Platinum might be for you because it covers so nicely. You can find these shades on their website and they are $8.50 each. You can also get packs of two or four mini bottles for $14.95 each. Gilded in Platinum looks brilliant! Such a good formula too! A Little Naughty looks like a great shade that would go with my outfits. Love “I’m so Hot”. I like the subtle shimmer .. full on glitter I’m done with – too hard to remove. Totally am with you, glitters make me tired. This is pretty little collection! I really like All Wrapped Up and Gilded in Platinum is such a pretty foil! I’m loving all this bling! I wasn’t crazy about my last batch of Morgan Taylor polishes but Ruby Two Shoes is so pretty. I wish the shimmer was going to look like your photo. I may get it anyway. Maybe it’s me, but I kinda want MORE for the price. 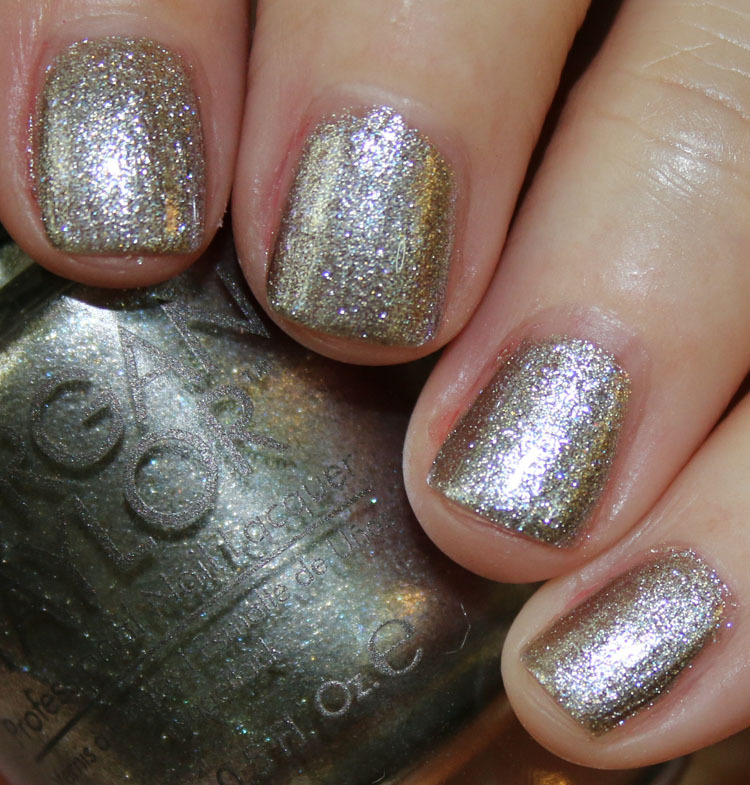 Gilded in Platinum looks like a Deborah Lippmann polish I already have. Sorry I don’t know the name of it.